Recently, both KDKA and the Post Gazette reported on the logistical hurdles for the regions growers and dispensaries. While there have been some bumps in the road, there remains the highest commitment to cultivating and dispensing the highest quality cannabis treatments for patients. As reported by Andy Sheehan at KDKA, Solevo Wellness expects to be the first dispensary to open in the region. Solevo’s Sam Britz, who is overseeing all operational details related to opening, says, “We’re definitely ahead of the pack.” You can read the full Pittsburgh dispensary news update and check out the video featuring an interview with Sam. Steve Twedt from the Post Gazette also caught with Sam and recently reported on the push towards Pittsburgh medical marijuana openings in 2018. 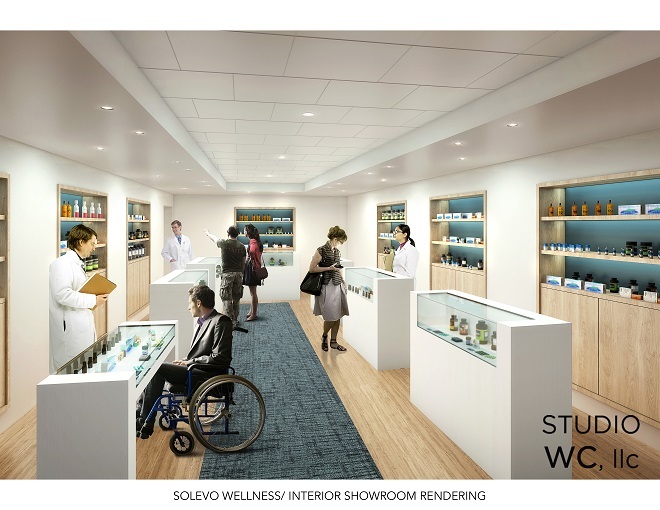 While licensed dispensary group Maitri Medicinals has been facing challenges related to their location, Solevo Wellness is on track to open our 7,000 square foot dispensary in Squirrel Hill in early 2018. The plan is for the facility to be warm, inviting, and comfortable to help Solevo fulfill our mission of providing effective relief solutions to qualified patients. As reported in the article, the air conditioning, plumbing, and roof will all be new at the facility. The completed dispensary will be “a cross between a pharmacy, a doctor’s office and a jewelry store” according to Britz. The environment will reflect Solevo’s commitment to high clinical standards and medication quality. There’s even a bike path adjacent to the facility which can play an important role in overall health and wellness. Are you looking for more information on PA medical marijuana? You can check out our PA medical marijuana page and you can always get in touch with us and sign up for our email newsletter on our homepage. We’d be happy to answer any questions you might have.